There is a new Like Button at the top of the navigation bar on my site. If you go to my website, please click on this button (if you like it, of course!). Thanks! People love to look at landscaping photos, so I thought I would let you know about some additional photo pages I have created, along with photos by subject. Patio Pictures - here you will find a few of my projects showing a variety of materials, shapes and other elements such as seat walls. Under each photo I just explain a bit about the design. Walkway Pictures - same as for the patio pics... photos of some of my walkway designs and some details. 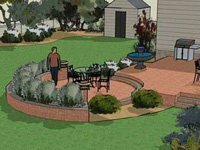 For those of you who like pavers, the last image is interesting as it shows a paver walkway with bluestone treads. 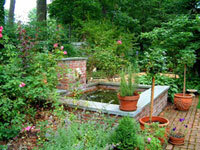 Hardscape Design - Here is a link to a page with lots of pictures categorized by materials. 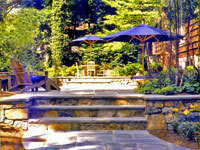 Looking for a bluestone patio or brick walkway? Here you can find photos by patios, walkways, driveways, steps, etc., shown by the different possible hardscape you can select. And as always, my ebooks! 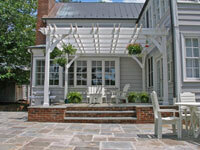 Patio Plans For Inspiration - Many of my patio design projects shown in 3D, AutoCad, and photos. 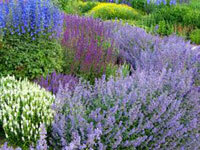 Designing with Evergreen Shrubs - an excellent guide for homeowners, contractors and landscape designers. 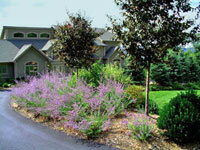 I discuss the best shrubs to use and show photos of how I used them in my landscape designs.